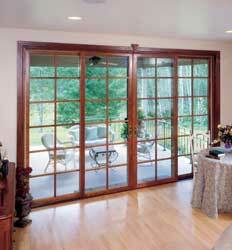 Central Trim manufactures built-to-order pre-hung doors for residential, light commercial and tenant finish projects. Our offerings include a variety of styles and materials including wood, MDF, fiberglass, and steel. These doors are also available in bi-fold, by-pass and pocket styles. For custom or specialty door needs, we have partnered with a few select regional manufactures for their quality and craftsmanship. Interior doors set the style - colonial, contemporary, mission, modern...and Kolbe & Kolbe Builder's Advantage gives you the interior door choices you need for the look you want. 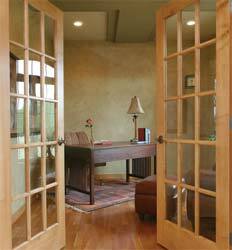 From the formal statement of raised panel doors, to the elegant look of French doors, to the casual class of flat panel doors, Builders Advantage offers the beauty of real wood, solid engineered-core stability and quality construction. 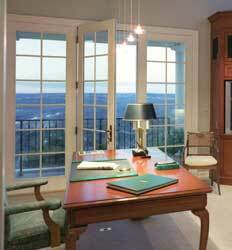 Kolbe & Kolbe Millwork Co., Inc. has been manufacturing premium quality windows and doors since 1946. After a half century, this family-owned business is continuing strong with tradition and innovation - built into every window and door. Established in 1912 by Henry McCleary and acquired by Simpson Logging Company in 1941, Simpson Door Company is one of the oldest continuously operating door plants in the nation. Simpson manufactures some of the world's most beautiful wood doors. The company is located in the heart of the Pacific Northwest and produces a wide variety of door designs compatible with nearly every architectural style and price category. 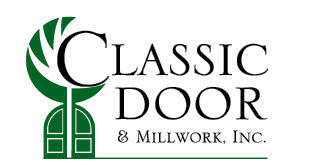 Therma-Tru Doors is the nation’s leading manufacturer of fiberglass and steel exterior door systems and the brand of entry doors most preferred by builders and remodelers. Founded in 1962, Therma-Tru pioneered the fiberglass entry door industry with the introduction of the Fiber-Classic wood-grained door in 1983. It soon became the standard for the entry door industry. Therma-Tru built on this innovation with the introduction of the Classic-Craft Oak grained door collection. The 1999 introduction of Smooth-Star smooth fiberglass again raised the bar of innovation in the fiberglass door industry. Today, Therma-Tru is once again revolutionizing the marketplace with the elegant new Classic-Craft Mahogany Collection, the charming new Rustic Collection and has extended its expertise to patio door systems with the industry's most innovative collection of fiberglass hinged and sliding patio door systems. 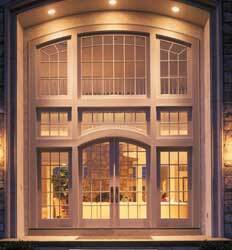 Therma-Tru offers complete entry and patio door systems, including handcrafted decorative doorlites and sidelites, transoms and door components through a national network of distributors, lumberyards and retailers. No other single feature makes a stronger or more immediate statement about a home than the doors that lead you through it. Koch & Co. offers one of the widest selections of handcrafted exterior and interior wood doors in North America. All Koch doors are made from the finest woods solids, veneers, and engineered cores - for lasting beauty, strength, and structural stability.